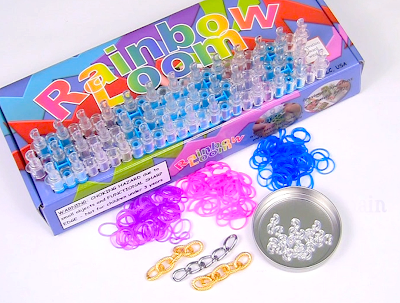 Not sure if you've jumped on the Rubber Band Loom trend yet, but it's addicting to say the least. I got mine a few weeks ago and have played with it almost every day since. It's kind of like meditation with little rubber bands. After perusing the internet for hours looking for interesting "adult" Rainbow Loom projects, I realized there were none so I decided to add a little chain to the mix. I feel like I've come up with something that mom will actually love wearing. 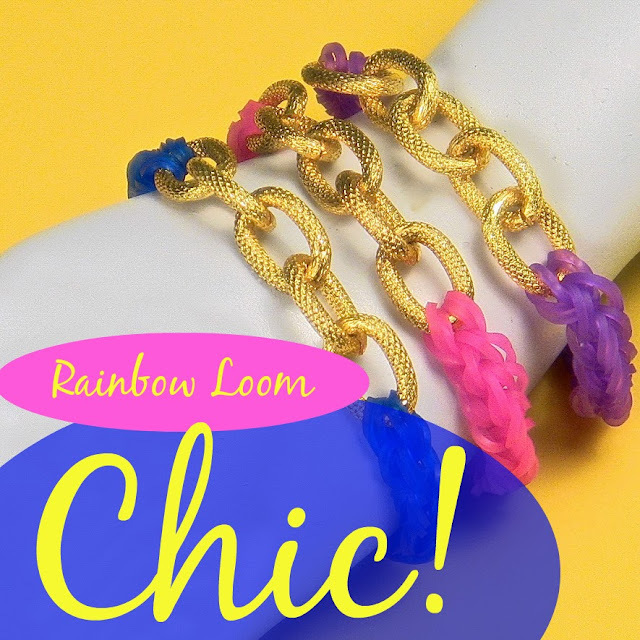 Moms, pass this one along to the kiddos so you're not having to wear those crazy rainbow color bracelets to work anymore! 1. With the loom facing away from you, count down 11 pegs from the top of the loom on the left row of pegs. 2. Stretch 2 bands between peg 1 & 2. Next, two bands between 2 & 3. Continue to the the 10th peg. 3. Thread two bands between the end link on your chain and then stretch it over the 10th and 11th peg. 4. Repeat this process on the right hand row of pegs. You will not be putting bands on the center row. 5. Thread 2 bands between the other end link on your chain and thread it through the 10th and 11th peg. 6. Flip your loom around and with your hook, grab the 2 bands on the 11th peg and stretch them around the end link and on to the 10th peg. 7. Now with your hook, reach through the peg, grab the 2 bands on the 10th peg and loop them on the 9th peg, this will start creating a chain. 8. 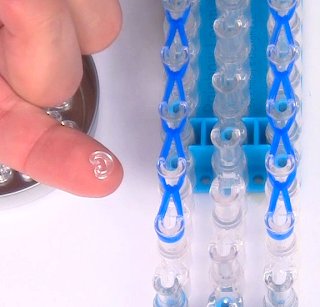 Grab a "C" clip, carefully remove the last band on one side and attach it to the last band. 9. Place your hook through the last band on the other side and remove the bracelet and then add the bands to the "C" clip to finish it.